Only one mile from the Las Vegas Strip, this hotel has free shuttle services to McCarran International Airport. 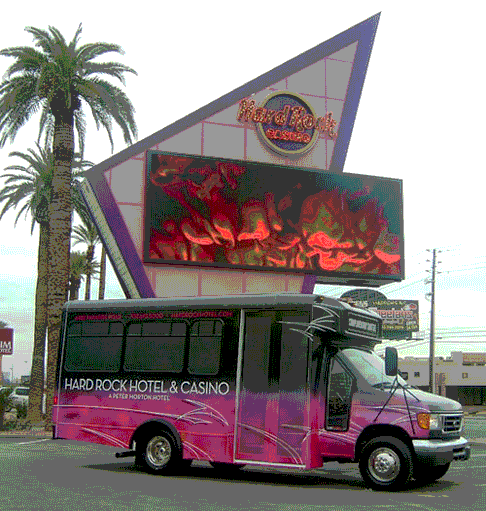 Offers a scheduled shuttle to the Las Vegas Strip and to the McCarran Airport. There are public shuttles that go to any or all the Strip hotels. They run around $10 per person.